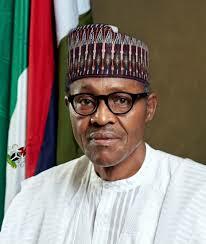 President Muhammadu Buhari has allegedly ordered Minister of Transport, Rotimi Amaechi, Minister of Power, Works and Housing, Babatunde Fashola and Chief of Staff to the president, Abba Kyari to resign. According to DAILY POST, a source in the Presidential Villa said that Buhari was worried that having these persons in his cabinet could put so much to question about his personality and frustrate the present anti-corruption war. The President wants them to resign quietly because if he sacks any of them, he would have to hand them over for prosecution. Amaechi was indicted by a Judicial Commission of Inquiry in Rivers State. Fashola, had equally been petitioned over mismanagement of Lagos state funds and Kyari allegedly took N500million bribe from MTN.